Hey campers, rise and shine! Raul Rubio here, Creative Director and CEO of Tequila Works. 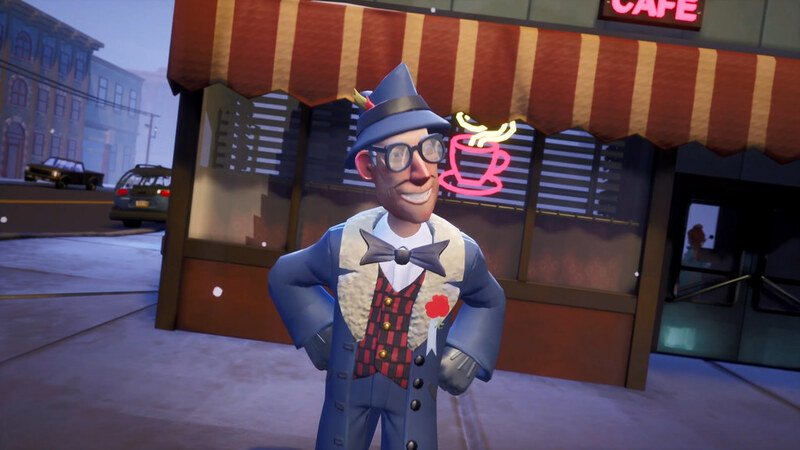 I am so excited to say that I’m directing Groundhog Day: Like Father Like Son, published by Sony Pictures Virtual Reality (SPVR) and produced by SPVR and MWM Immersive, to be released later in the year at PS Store. In Groundhog Day: Like Father Like Son, you’ll play the charming but arrogant Phil Connors Jr., who grew up in the shadow of his father — a man who spent a lifetime repeating a single day until he had made it perfect. But for Phil Jr., today is the worst day of his life. He’s trapped back home in Punxsutawney, the small town he thought he’d escaped — where he can’t even get a decent cappuccino — and he’s going to have to repeat the day over and over until he learns the true value of friends and family. At Tequila Works, we have been looking into VR since its beginning. We released The Invisible Hours in 2017, our first step in developing what we call Spherical Narrative. By following several simultaneous stories in real time, the player can find clues and discover the mysteries hiding in plain sight. For this VR project, we wanted to go a step further by making the player an active, disruptive element in the story, giving them more narrative choices to have a key influence on the storyline. Not only will the player have a much stronger sense of physical interactivity, but a deeper emotional connection to the non-playable characters. 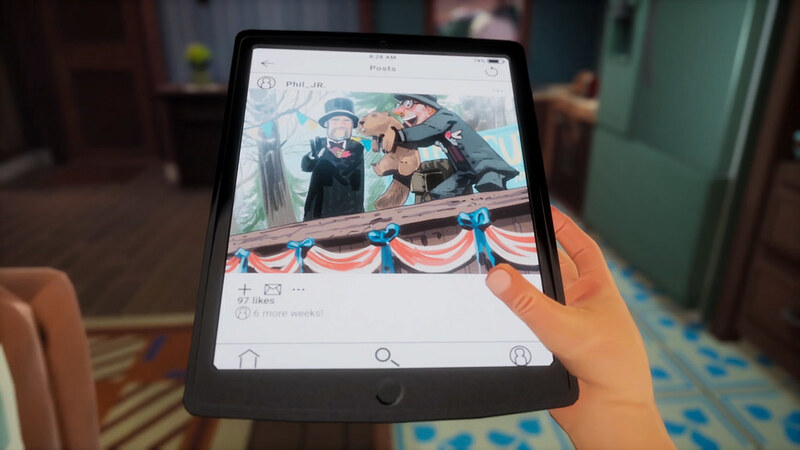 When we got the opportunity to work on Groundhog Day: Like Father Like Son, it looked like the perfect scenario to create a unique experience of intertwined stories, with the player fully embedded in timeline choices. After all, time loops are like being trapped in a videogame! This game contains a time loop mechanic with multiple branching narratives, as well as individual meaningful stories that we can build upon. It also includes the same dark humor of the original film, letting us play around with the inherent instinct of every VR player to mess with everything around them. James Siciliano of Rick and Morty and Joshua Rubin of Telltale lent their expertise to help us build this original story from the world of the beloved movie. We have developed an ever-changing experience through deep branching narrative gameplay and full interaction with all NPCs. Because what would you do with eternity if there were no tomorrow? Like we did in The Invisible Hours, we are working with talented facial and motion capture artists to create a unique, immersive experience. Using our dedicated VR tools and the support of SPVR and MWM Immersive, a leading creator of high-quality VR and AR experiences, we have been able to create gameplay that is accessible and highly engaging. We’re so excited to bring this game to PSVR, you can’t imagine how much it hurts biting our tongues for so long! So please enjoy Punxsutawney Phil’s weather forecast and we hope you are as excited as we are to share what we’ve been cooking up! Groundhog Day: Like Father Like Son is coming out later this year. Enjoy the teaser and stay tuned for more!